A few months ago we bought an Aerogarden. These tiny hydroponic gardens are awesome for city dwelling folk. After growing more herbs than we could use in a lifetime, we decided to get something more practical and we bought tomato pods. A ton of water, a few dash of nutrients, and a few months later we had a thriving tomato garden. The Onomatopeata came out of a desire to do something with our new tomato wealth, and with peaty scotch. We revved on the drink a few times before arriving at a recipe that works. Make honey syrup by combining 2 oz honey with 1 oz water and stirring until dissolved. Add in all ingredients except Ardbeg. 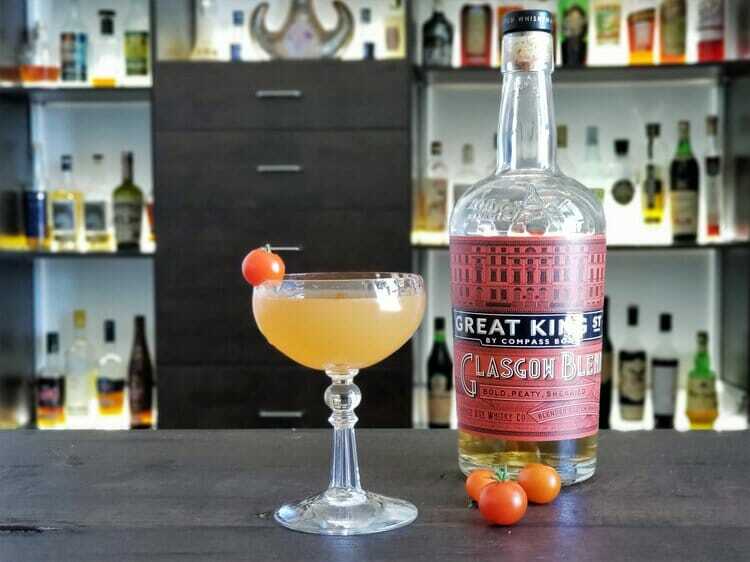 Garnish with a cherry tomato.